AN IRISH MEP is hoping to meet with Government about Ireland becoming a member of CERN. Sean Kelly MEP said that the move could make Ireland a global hub for young scientists and leading innovators. Kelly, who is a member of the European Parliament’s Industry, Research and Energy Committee, has urgently requested a meeting with Dr Rolf Heuer, Director General of CERN, on the issue. Kelly told TheJournal.ie that he is also meeting with Trinity College Dublin on the issue. 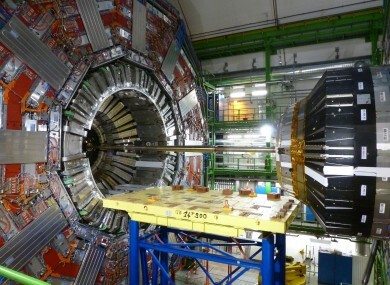 Ireland remains the only country in Western Europe not to sign up for membership of the CERN science project, said Kelly. The MEP said that the abundance of scientific creativity amongst school kids and young adults within Ireland was demonstrated at the recent BT Young Scientist and Technology exhibition at the RDS. “The CERN project now provides a once in a life-time opportunity for Ireland to become a world leader in developing a smart, sustainable economy,” he added. However, Ireland risks lagging behind other leading technology based economies and major software exporters, such as Israel, by not joining the CERN project. The practical fall-out from non-membership means that our scientists and software companies cannot apply and bid for multi-million euro contracts and research grants coming from the CERN centre. The MEP said that Irish companies “cannot afford to miss out on the public-private opportunities offered by CERN, working along with major global ICT industry partners, such as Intel, Oracle, Siemens and Hewlett-Packard, and participating in CERN’s openlab project, a partnership between CERN and ICT companies to develop future advanced technologies”. He said that though full CERN membership costs around €11m per year, the benefits in terms of future innovation and revenues for the economy, “significantly outweigh concerns” over the cost. Kelly said that he is hoping to work on a strategy with Trinity College on how to make membership happen. “If you want to be at the top you must be with those who are heading towards the top,” he said. He anticipates that Cabinet could make a recommendation on membership, but said that he hopes to meet with the TCD staff first on the issue, and move forward on a collaborative basis. Email “Ireland “risks lagging behind” by not having CERN membership”. Feedback on “Ireland “risks lagging behind” by not having CERN membership”.